Australia's original and most trusted online gift and experience company offers a range of exciting and original experiential solutions. We help organisations to ignite their businesses by attracting, motivating and retaining their employees and customers. 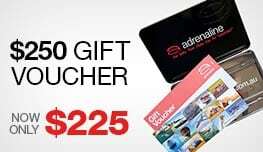 Adrenaline vouchers and gift cards are part of our wide range of incentives and rewards options that can be customised to suit your objectives. Adrenaline incentives & rewards solutions help you, boost sales, drive performance, motivate employees and promote loyalty. From retail Gift-With-Purchase solutions through to customised, overseas money can't buy experiences, Adrenaline is the leader in experiential promotional prizes. Adrenaline harnesses the most amazing and unique experiences in the world to boost sales, reinforce media campaigns, build brand loyalty, motivate your target market and make your customers' dreams come true! Amazing and imaginative concepts: exclusive experiences that are totally different because we created them! Rapid turnaround: if you have a tight deadline and need options yesterday, we'll get them to you quickly. Expansive image library: so your creative team can get to work. Turnkey winner management and prize redemption: Adrenaline's service includes all aspects of prize delivery from concept creation, right through to delivery and winner management. Adrenaline-charged team building activities and corporate events that people will remember, from V8 Supercar Drive Days to Amazing Races, Yachting Regattas to Cocktail Making Classes, Adrenaline has a range of activities that can be customised to your audience and budget. Conference break-out activities and challenges. National reach - activities delivered anywhere in Australia. Team activities tailored and delivered to cater to all levels of mobility and fitness. An extensive range of gourmet hampers, gift baskets, blooms and gift cards. 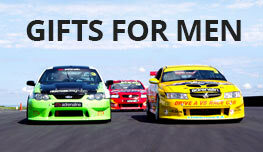 The ideal solution to corporate gifting. You can order via our call centre for same day or overnight delivery. 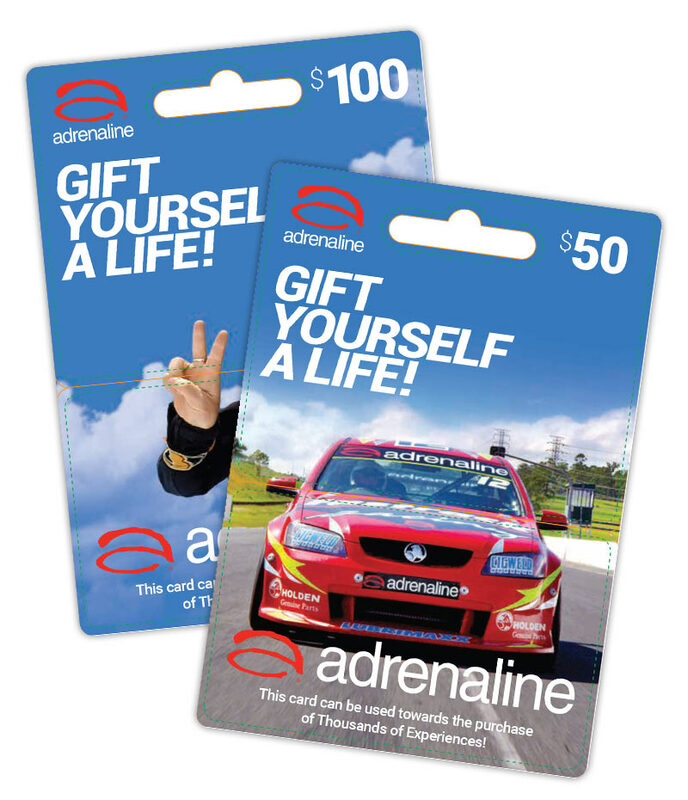 Adrenaline Gift Cards are a convenient and cost effective way to incentivise customers at point of sale or as an on-the-spot reward for employees. Ideal for large volume consumer promotions. Gift Cards can be co-branded. Adrenaline Gift Cards come in $50 & $100 denominations, however custom orders for specific denominations are available. Cards are valid for 3 years from date of activation. Gift Cards are available at leading retail outlets. 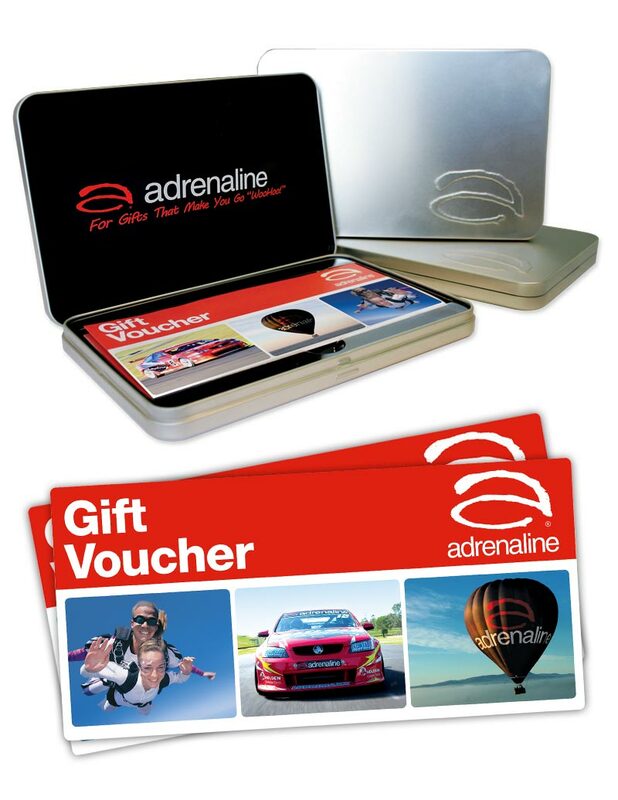 Adrenaline Flexi-Vouchers can be tailored with your company's branding as well as a customised message and issued immediately & cost effectively as an e-voucher or in a beautiful brushed metal gift box. Adrenaline Flexi-Vouchers customised with your corporate branding that can be redeemed online or via our 1300 Call Centre for any one of over 2,000 Adrenaline experiences. Flexi-Vouchers are available in any denomination. Flexi-Voucher credit valid for 3 years.